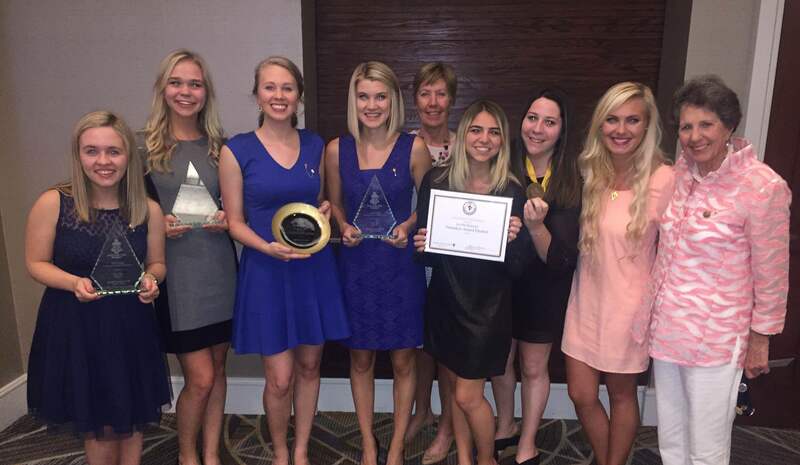 Belmont’s Eta Phi chapter of Kappa Alpha Theta recently attended the organization’s biannual Grand Convention and came home with many awards and accolades. The event, where more than 130 chapters from across the county meet to celebrate the year’s successes, culminates the year’s achievements with an awards ceremony where Belmont’s chapter received five of the 19 awards presented–more than any other chapter across the country. Eta Phi received Excellence in Recruitment, Excellence in Administration, Excellence in Risk Management, The Golden Kite Award, given to only 15 chapters and was a finalist for the Founder’s Award. The Excellence in Recruitment award recognizes a chapter for educating its members on and exemplifying a values-based recruitment. Recruitment training by both Theta and Belmont, as well as chapter return rates during formal recruitment are also considered. Excellence in Administration criteria includes effective officer training and transitions, education on nominations and officer positions and other administrative tasks. This year, Eta Phi participated in a pilot program, along with 6 other chapters, for a new chapter officer structure. The success of this program contributed to the chapter’s receipt of the Administration award. Eta Phi trains its members on risk and crisis prevention each semester–following formal recruitment in the fall and after officers begin their spring term. Members are educated on safety measures, bystander intervention, emergency procedures, incident reports and mental health. The chapter also provides educational workshops including self-defense classes. These initiatives, among others, were touted as the reasoning behind the chapter’s Excellence in Risk Management Award. The Founder’s Award is the most prestigious of the awards given at Grand Convention. Seven chapters were recipients of this award with one chapter winning overall. Eta Phi was named as a finalist for the Founder’s Award.